NEW 7" vinyl! 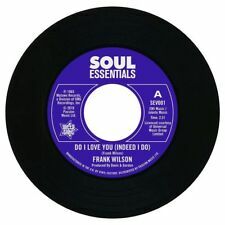 FRANK WILSON - Do I love you / Sweeter as the days go by - SEV001. Goosepimples aplenty as Kent Records pulls out its ace card with a superb slice of feel good classic soul music from Darondo. Darondo, who was bought up in the San Franciso Bay area, led a colourful life, becoming a Pimp in the 1960s. TO MAKE THE LABEL LOOK CLEANER, BRIGHTER OR NEWER THAN THEY ACTUALLY ARE. ALL RECORDS ARE TESTED & RECORDED ON 'TECHNIQUES SL 1200 MK2' WITH 2.5 GRAM WEIGHT AND 'STANTON 500 STYLUS. "NO LABEL SCANS HAVE BEEN ENHANCED (Auto Fixed)". 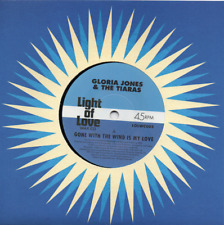 A SIDE - GLORIA JONES & THE TIARAS - GONE WITH THE WIND IS MY LOVE B SIDE - THE TIARAS - YOU'RE MY MAN LABEL - LIGHT OF LOVE WAX CO. (2016) CATALOGUE # LOLWC005 FORMAT - 7" VINYL CONDITION - NEW. VG -Getting into Filler area - many heavy marks, definite background noise. 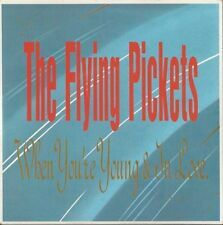 listen to the sound clip and see if its ok for you, usually a record that you dont often see. SOULFUL MID TO UPBEAT MODERN MOVER. Manny Corchado Pow Wow. Johnny Caswell. Northern Soul Reissue. Worldwide £5.20 first item then 60p for each extra item. Lee Moses Bad Girl Part 1. 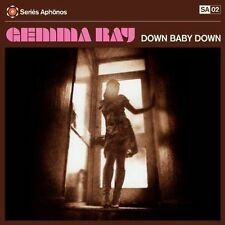 Northern Soul/R&B Reissue. Bad Girl (Part 2). New & Unplayed. ARTIST :DARROW FLETCHER. CAT_No : CITY 053 DATE OF RELEASE : 15-10-2018. A SIDE:(Love is my ) Secret weapon. Lou Ragland. b ig wheel graded VG . both sides play and Sound without any problems. t his is the 2nd issue. DELEAGATION WHERE IS THE LOVE WE USED TO KNOW. Lew Kirton. Charles Johnson Never Had A Love. Charles Johnson Never Had A Love So Good. Northern Soul Reissue. Worldwide £5.00 first item then 60p for each extra item. New & Unplayed. VINYL EX/CON. B SIDE DISCO LOVE. Alfie Davidson. Northern Soul Reissue. Worldwide £5.20 first item then 60p for each extra item. EDDIE PARKER. 7" SINGLE REISSUE. LOVE YOU BABY. WELCOME TO STATESIDESOULSOUNDS - NORTHERN SOUL, MOTOWN, RARE SOUL, FUNK 45's AND MORE...COMBINED 'FLAT RATE' POSTAGE ALWAYS GIVEN - THANKS FOR LOOKING AT MY LISTINGS. ** THE GAYLADS I LOVE THE REGGAE IN DEMAND RARE AND KILLER BOSS REGGAE SOUND!! THE GAYLADS (Credited to lead singer B.B. SEATON) - I LOVE THE REGGAE / WHEY SHE DO NOW (aka WHA SHE DO NOW). or if no LP/12in/10in in order;. SIDE 1 : NOLAN PORTER:If I Could Only Be Sure. ESPECIALLY AT THIS PRICE SO DON'T LEAVE IT TOO LATE ! A-SIDE - JJ BARNES - OUR LOVE IS IN THE POCKET B-SIDE - JJ BARNES - HOLE IN THE WALL LABEL –OUTTA SIGHT (2011) CATALOGUE # –OSV015 FORMAT – 7" SINGLE CONDITION – NEW AUTHENTIC ORIGINAL OUTTA SIGHT VINYL. The Magic Numbers-Love Me Like You 7" Picture Disc Vinyl 2005 UK Ltd Edition. HVN 153 A. Love Me Like You B. Delphina’s Song Condition is Used. Only played a couple of times and kept on the shelf. Well looked after Dispatched with Hermes. The Montclairs Hung Up On Your Love. The Montclairs. Northern Soul Reissue. I Need You More Than Ever. SHOWADDYWADDY - UNDER THE MOON OF LOVE on 7" VINYL. SIDE A. Under The Moon Of Love. BAD: The record is unplayable or might even be broken, and is only of use as a collection filler. THE VINYL PLAYS VERY GOOD. ALIAS SMITH AND JONES & The Virginian 7" VINYL 1970, in Excellent Condition, Item will be well packed for posting and please take a look at my other items as I do combine postage, and thank you for looking, any questions please ask. FREE POST in the UK only. The Raincoats - UK 7" single. CARPENTERS - I NEED TO BE IN LOVE on 7" VINYL. The cover and contents suffer from folding, scuffing of edges, spine splits, discolouration, etc. THE VINYL PLAYS VERY GOOD. POOR: The record will not play properly due to scratches, bad surface noise, etc. SLEEVE AND RECORD ARE IN EX CONDITION. Artist: Karyn White. Catalogue Number: W2681W. the sound, which is why we play testall of our records. So you know the sound quality of the record you're getting, not just what it looks like. This is why our gradings may be a little lower than our competitors - we don't simply inspect the record, but we listen to each and every one so you know the sound quality of the record - which is what really matters. Lew Kirton. Heaven In The Afternoon. Charles Johnson. Never Had A Love So Good. Northern Soul. Artist: Stephen Duffy. Catalogue Number: TENP91. the sound, which is why we play testall of our records. So you know the sound quality of the record you're getting, not just what it looks like. Record Grading: Ex-. KULA SHAKER 7" Let Love Be With U You 2016 Ultra Ltd Vinyl single NEW 100 Only ! Hole - UK 7" single. THE KOOKS - YOU DON'T LOVE ME 7" VINYL LTD. The Kooks You Don't Love Me Limited Edition No.252 7" vinyl. Brand new never played and still sealed. A1 condition. Hole - Doll Parts 7" vinyl single. Doll parts. Arlene Fontana - I'm in love / Easy UK 7"
Arlene Fontana - UK 7" single. The cover and contents suffer from folding, scuffing of edges, spine splits, discolouration etc. A: All 4 Love (Album Mix). Catalogue Number: W0053. Fair: The record is still just playable but has not been cared for properly and displays considerable surface noise: it may even jump. MAW - To be in Love. Record Label : MAW Records. Catalogue No : MAW 021. This is one of 10000 singles LP's, 12” and 7" that I HAVE COLLECTED OVER THE LAST 30 YEARS; they run from the 1950's to the 2000's and cover every style of music. Artist The Gist. Title This Is Love. The record itself is in superb condition, and has been kept in a plastic sleeve. The record details are;. A: Madly In Love (Joe Smooth Mix). B: Madly In Love (Joe Smooth Piano Dub). Artist: Bros. Catalogue Number: ATOM10. the sound, which is why we play testall of our records. So you know the sound quality of the record you're getting, not just what it looks like. On rare original UK / French pressing 7" in picture sleeve with plastic labels. 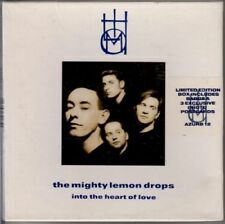 released on Fiction Records FICS 42 / 863 000-7 in 1992. The records are also separated from the sleeve and placed in paper sleeve & poly covers. 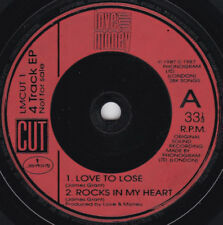 DAVID ESSEX - HOT LOVE on 7" VINYL. SIDE A. Hot Love. THE VINYL PLAYS VERY GOOD. POOR: The record will not play properly due to scratches, bad surface noise, etc. The cover and contents suffer from folding, scuffing of edges, spine splits, discolouration, etc.